In mythology, the Titan Kronos devoured his children, including Poseidon (better known as the planet Neptune), Hades (Pluto) and three daughters. 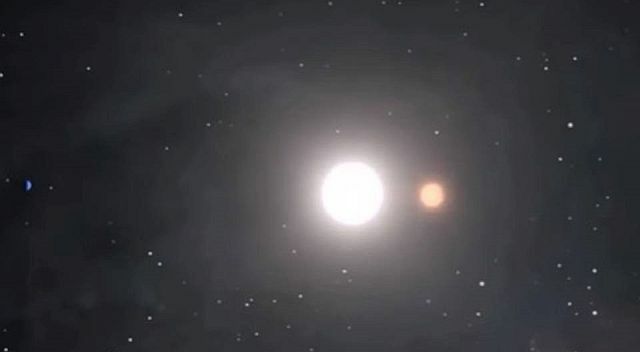 Astronomers discovered twin stars, one of which showed signs of having ingested a dozen or more rocky planets, they named them after Kronos and the companion star is named Krios, after Kronos’ brother. Their official designations are HD 240430 and HD 240429, and they are both about 350 light years from Earth. Both Kronos and Krios are sun-like stars – yellow G-type – and are about 4 billion years old, orbiting each other about every 10,000 years. They have different chemical compositions – not an unknown phenomenon in binary star systems – but the scale of that difference is unusual, and seems even more bizarre when put in the context of the sun. 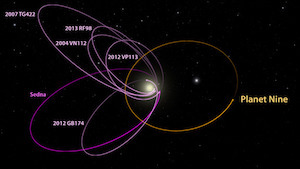 “Even if our sun ate the entire inner solar system, it wouldn’t come close to the anomaly we see in this star,” David Hogg, the group leader for astronomical data at the Center for Computational Astrophysics (CCA) at the Flatiron Institute, who co-authored a new study on the subject, said in a statement Thursday. The terrestrial matter is rich in heavier elements that can make up rock-forming minerals, such as magnesium, aluminum, silicon, iron, chromium, and yttrium. These materials are found in abundance in Kronos’ outer layers. The lighter elements like oxygen, carbon, nitrogen, and potassium are found in the gaseous form. And given the laws of chemistry, heavier elements formed in nature after the lighter ones. Therefore, usually, a Kronos-like metal-rich star would contain “all the other elements enhanced at a similar level, whereas Kronos has volatile elements suppressed, which makes it really weird in the general context of stellar abundance patterns. All of the elements that would make up a rocky planet are exactly the elements that are enhanced on Kronos, and the volatile elements are not enhanced, so that provides a strong argument for a planet engulfment scenario, instead of something else.